We started using nature journaling because of the Charlotte Mason way. One of my children's favorite homeschool assignments is adding something to their nature journals. 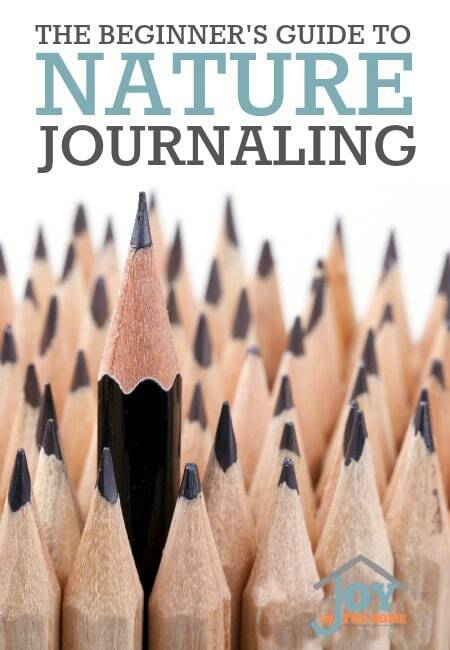 The more I talk with other homeschooling moms, the more I realize that nature journals do not come as easily to others, as they have our family, so I thought I would construct a Beginner's Guide to Nature Journaling to encourage you in your homeschooling journey of journaling. Nature journaling can be easy and effective in your homeschooling, while allowing your children to be creativity with their own observations and nature studies. We start nature journaling as early as Kindergarten, as it allows our young child to learn more about hand-eye coordination, and the basic skills necessary for learning to draw what they see. These are all the tools your child needs to get started, and then the basic nature study of observation. Just have them sketch something that they find, whether it is a pine cone, a leaf or attempt to draw an animal. You may get some ideas from my post, Explore Nature. I will write down the name of the item that they entered in their journal, so they could copy it into their journal as well. Allowing your child the own the responsibility of what is entered into their journal will give them a sense of pride and enjoyment that will continue to make journaling one of their favorite assignments in homeschooling, and can easily be carried on through high school science. For our homeschooling, we have one day a week focused completely on nature, and our nature journaling. However, if our children want to add something to their nature journal at any time, they have that freedom. What I have found to be the most effective way to get my children, even as young as five, interested and loving nature journaling is by getting their minds excited about nature beyond just the outside observation. I do this successfully through living books, and having them narrate to me, and often times, they choose a picture of an animal to sketch in their nature journal. These are some of our favorite books to use during the Kindergarten through Third grade. I absolutely love having nature guides on hand for our children to use during their nature journaling, for an example to draw, or even to add facts, as their journaling improves. These have been the best nature guides that all of our children have loved during this age group, and have taught them the skills to observe creatures in our own property. If you would like more journaling ideas, you should check out my journaling series. 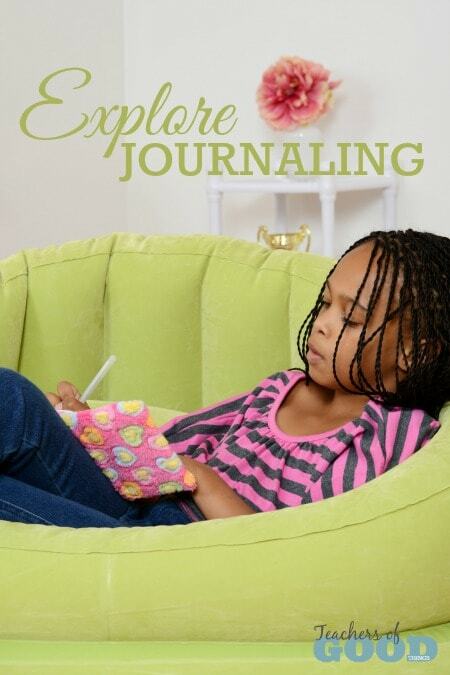 You may also enjoy some ideas for older child and how to add more ideas to their journaling with Explore Journaling.